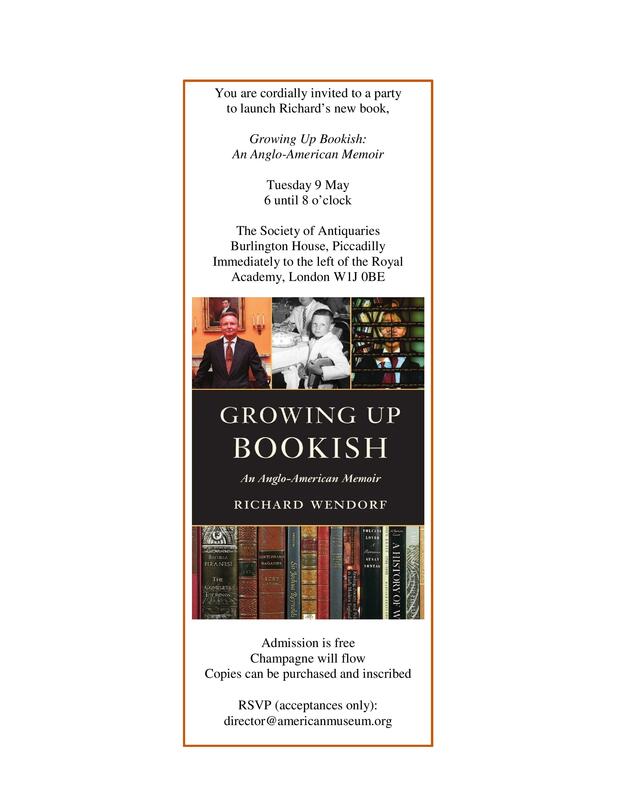 Richard Wendorf, the Director of the American Museum, has invited Club members to the launch party for his new book on 9 May. Richard served as the director of the Houghton Library from 1989 to 1997 and taught a course in British art history in the Fine Arts Department. He has devoted a chapter in his memoir to his time at Harvard. Please see the invitation below.